i have a sweet tooth. in fact, i suspect that every molar in my mouth has a sweet predisposition. to my dentist’s chagrin, i always get a hankering for something sweet right about when the dinner dishes are put up to dry. once we started dating, I struggled to find something that would tempt her into sharing my late night dessert dalliances: lemon meringue pie, apple tartlettes, cantaloupe gelato. but it was to no avail. I could slave away in the kitchen for hours on something and she wouldn’t take more than a taste. and then she tasted this cobbler. 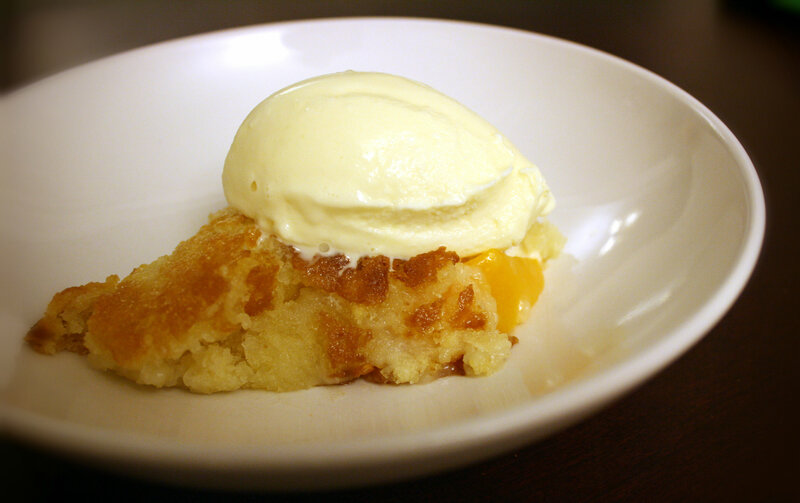 this cobbler is easy. unbelievably easy. 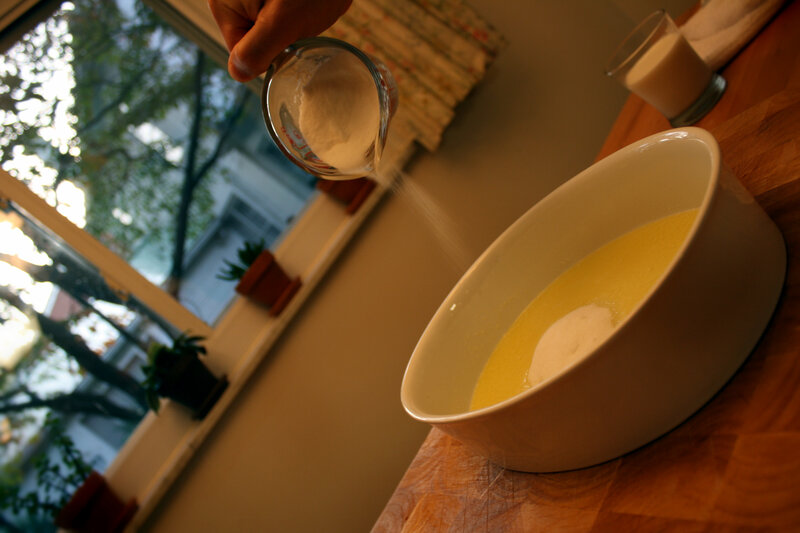 6 ingredient easy. 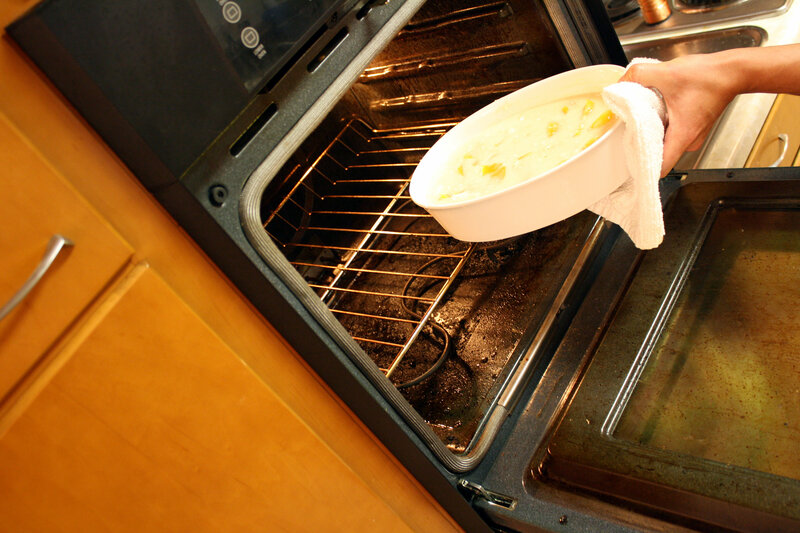 place the stick of butter into a 13 x 9 baking pan and place the pan in the oven. then preheat the oven to 375 degrees. 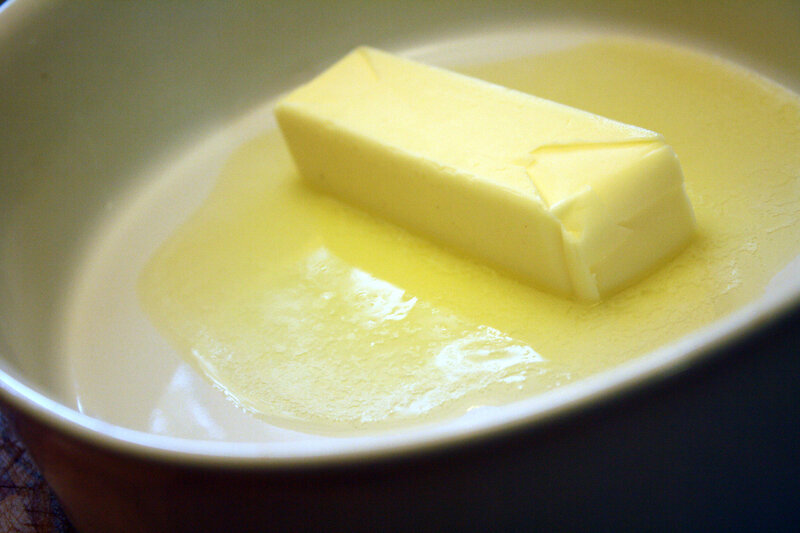 once the butter has melted, add the sugar. 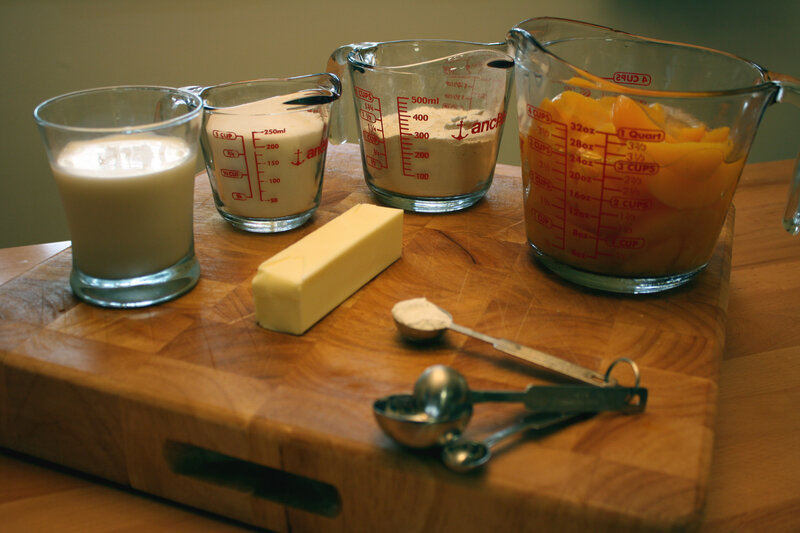 add the flour, milk, and baking powder (for brevity’s sake, we’ve only used these ingredients. in your kitchen feel free to add vanilla, allspice, nutmeg, cinnamon, or chocolate. feel obligated to add a dash of salt). 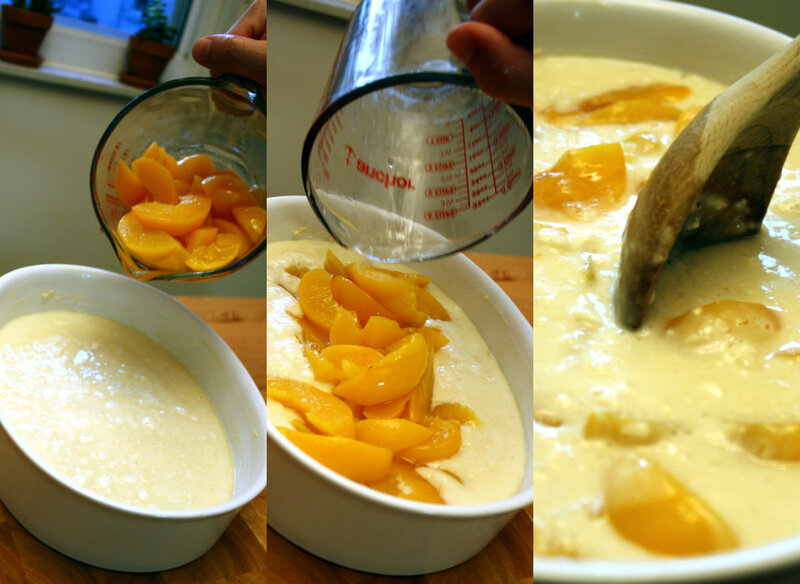 next, add the peaches sans juice and mix briefly. bake on the middle rack for approximately 45 minutes. i prefer my cobbler with ice cream; she prefers it without. you can do whatever fits your fancy. Fabulous! My daughter helped me make this tonight. Great because so simple!